Skylanders Imaginators Starter Packs Just $37.49 (Retail $74.99) & Crystals 3 for $20 – Black Friday Doorbuster Price Available Online! 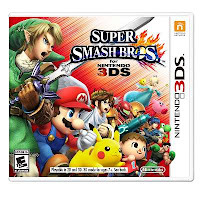 Toys R Us has released most of their Black Friday deals live online. We can even score Skylanders Imaginators starter packs for just $37.49 (retail $74.99). Plus, you will score a FREE Kaos Sensei figure. You can also get the crystals priced at 3 for $20. These are both doorbuster deals that are already available online…score! 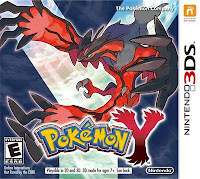 This is also available at Target for $39.99, Walmart for $39.00 and/or Best Buy $39.99. 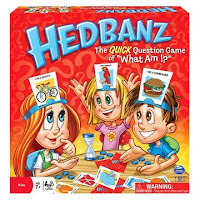 Target: Black Friday Sale – Select Board Games 50% Off = Headbanz $4.99, Peppa Pig Surprise Slides $3.59 & More! Target’s Black Friday sale is NOW Live online at Target.com. 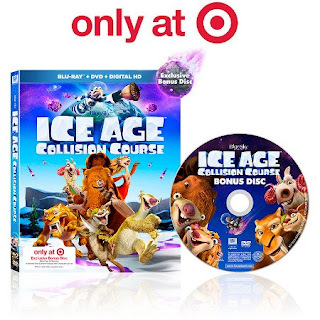 Head over to Target.com and grab this Ice Age 5: Collision Course Blu Ray + DVD + Digital HD + Bonus Disc for only $9 shipped (regularly $19.99). Kohl’s Black Friday is Live Online! 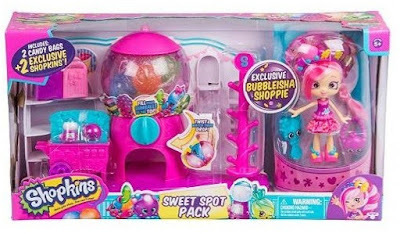 Get the Shopkins Bubbleisha Shoppie Sweet Spot Pack Gumball Playset for just $19.99 (Retail $44.99)! 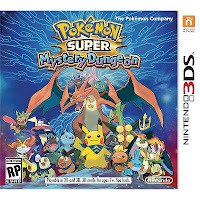 Plus you can save an additional 15% with the coupon code: SAVING15 dropping your price to just $18.49! 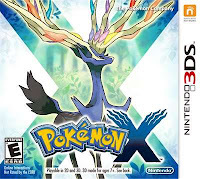 This is over $47 on Amazon right now…so a definite score. If you have more shopping to do you’ll earn $15 on your $50 purchase. 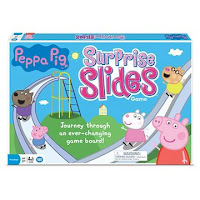 Choose free in store pick up to avoid shipping costs or shipping is free with your $50 purchase. Target’s Black Friday sale is NOW Live online at Target.com. 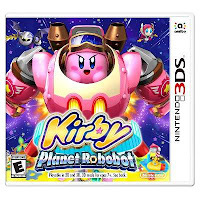 Get any of these 3DS games for just $25, regularly $39.99. 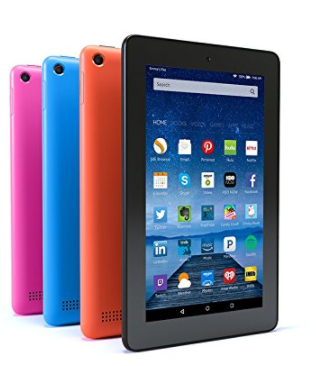 Amazon has this Fire 7″ Display Wi-Fi 8 GB Tablet (Includes Special Offers) for just $33.33 (regularly $49.99). This Fire Tablet features the Alexa cloud-based voice service, Amazon Underground and more! Get free shipping on a $49 order, a $25 Book order OR snag free 2-day shipping on ANY size order with Amazon Prime (you can sign up for a FREE 30-day trial here). OR, choose free no-rush shipping and get a $5.99 credit for Prime Pantry OR a $1 credit for eBooks & more – may vary by user.